Who Cares? 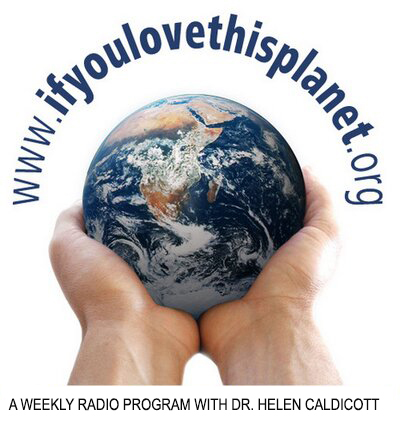 Helen Caldicott and Kate Orff in Conversation - Helen Caldicott, M.D. 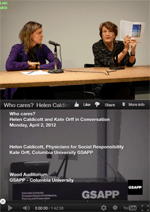 On 2 April, Columbia University hosted a cross-disciplinary dialogue on energy, environmental health, landscape, and care between physician and anti-nuclear activist Helen Caldicott and Urban Landscape Lab Director Kate Orff. How do demands for energy and economic efficiency affect population health? 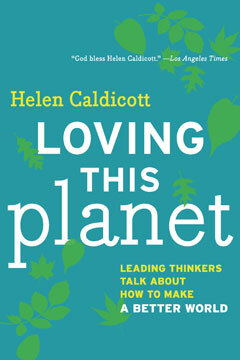 By caring for the planet and its people in different ways, what can doctors and designers learn from each other? Click here to view the video. Right after the bombs were dropped, Americans were told what a great benefit nuclear energy would be. After about a decade we began to realize that the bombs were becoming more lethal and that the benefits, if any, were problematic. I took a photo of an atomic bomb blast at the Nevada test site during the 50s. It’s my reminder of how naive we were. Until I heard you speak of Halliburton like the many had no idea. Once informed doing a simple search for ‘halliburton australia nuke dump rail line’ was quite revealing. Yucca Mountain and accountability moving to OZ? 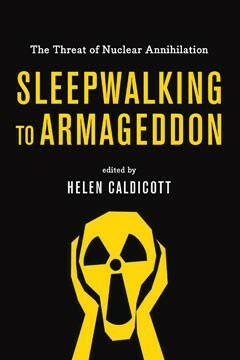 Given the nuke industry is not clean, not green, not safe, not cheap, one has to conclude it is nothing more than a global suicidal organization. Global MSM call that terrorism do they not? Not surprising then we have increased USA troops in the north. Would take thousands to protect that rail line and only if it were your intention to do so with competence in the first place. Fear is violence and as a kid of the sixties I remember how profound an effect the ever present M.A.D. threat had on all our lives. I’ve read reports where people have set them selves a lite through fear life is not worth living under sociopath nuke industry rule. As some one is now successfully treated for serious depression I gotta wonder how many cases globally are triggered by the idea on our current path for humanity is doomed. Planting inevitable accidents come black flag opp or genuine attack in heart of OZ is an act of total disregard for all life in OZ.